Pearl white lehenga set by Sailesh Singhania at AASHNI+CO. 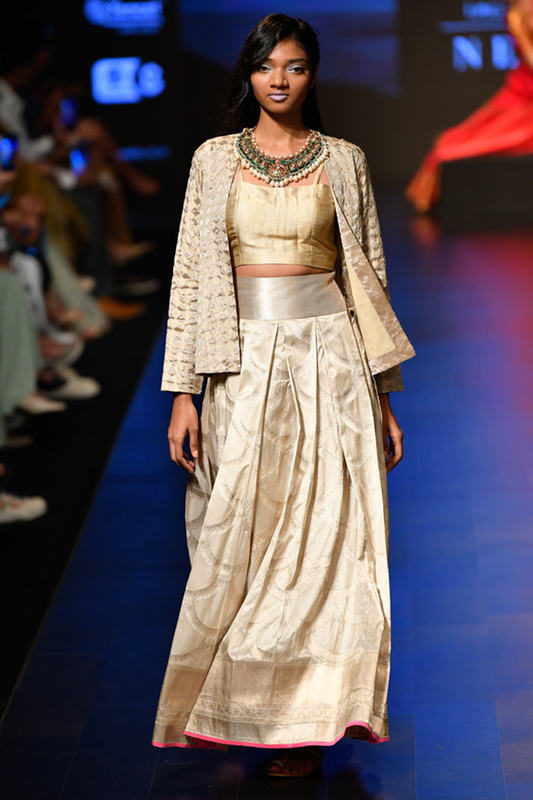 Sailesh Singhania brings layered ensembles in soft hues featuring a pearl white lehenga with intricately embroidered jaal motifs, paired with light gold strappy choli, layered with a light gold check patterned jacket. Keep it minimal and chic with a statement choker and studs.